Relapsing on heroin is common due to the highly addictive nature of the drug. With the proper addiction treatment and post-treatment support, a relapse can be handled as a temporary setback, allowing the person to quickly resume recovery. A proactive relapse prevention plan can help prevent the recovering person from returning to active heroin use. Relapse for a person addicted to heroin or other opioids is especially concerning as the risk of a lethal overdose during a relapse is high. After withdrawal, a user’s tolerance is lowered. Those who return to using at their previous dose may not be able to handle the dose they were using prior to withdrawal. Former users may relapse to relieve stress from major changes or demands. Stressful events. Former heroin abusers may relapse to relieve stress from major changes or demands in their lives, such as losing a job, getting married or divorced, or the death of a loved one. Boredom. Many recovering drug users have a hard time adjusting to sober life and may miss the excitement of the drug lifestyle. Unfamiliar with relapse prevention techniques. Some people who have not been in addiction treatment do not know how to manage cravings and other feelings that can lead to relapse, or they do not follow the relapse prevention plan from their program. Exposed to triggers. People who remain in environments where drugs are still being used, or around people who are still using, are at risk of giving in to urges to use. Lack of support system. Spending too much time alone, and not having anyone to reach out to if the person feels like using, places a recovering user at an increased risk of relapse. Not addressing underlying mental health issues. Sometimes, a heroin addiction stems from past trauma, anxiety, depression, or other mental health issues. The person may use heroin to cope with uncomfortable feelings arising from these conditions. If the conditions are not addressed, the person is likely to return to heroin when he or she begins to feel depressed or anxious again. When a heroin relapse occurs, there are several steps you or your loved one can take to prevent further drug use. Stop using. The longer you use, the harder it will be to stop using. You will be more likely to need detox and more likely to suffer consequences of heroin abuse, such as HIV, hepatitis, and malnutrition. Think back to why you relapsed. Did something happen, such as the loss of a job, the death of a loved one, or the breakup of a relationship? Was the heroin relapse possibly triggered by boredom and restlessness? Were you frustrated by a family member, your job, or a friend? Reach out to someone. This person could be in your support group, be a Narcotics Anonymous (NA) sponsor, or be a therapist, friend, or family member. Even though you may feel ashamed about what happened, it’s better to talk about it. Return to treatment. The idea of going back to treatment may not be appealing, but it’s often necessary. Maybe the previous heroin rehab program wasn’t the right one for your needs. Addiction referral specialists, counselors, and sponsors can help you seek another form of treatment. Treat mental health issues. A common underlying issue in addiction, recovery, and relapse is the presence of untreated co-occurring mental health disorders. When a person in heroin recovery is also struggling with depression, anxiety, or bipolar disorders – a situation commonly referred to as dual diagnosis – it is difficult for them to stop using drugs without addressing these conditions. Relapse does not necessarily mean that you have to go to an inpatient or long-term rehab facility to get back on track. A one-time use of heroin might not be the same as a relapse that went on for days or even weeks. A one-time relapse may be adequately addressed with a return to outpatient counseling, while using heroin for several days or weeks may require detox again, and attendance at a more intensive rehab program. Need to Get Back Into Treatment? Who Answers? . An advisor can help you locate treatment centers based on your insurance coverage. Having a prevention plan in place is a vital component of avoiding a heroin relapse. Seeing a therapist on a regular basis: A therapist can help you work through mental health problems, help you deal with any challenges that come up in recovery, help you identify relapse triggers, and teach you techniques for managing cravings. Going to a 12-step group such as Narcotics Anonymous (NA): Twelve-step groups offer a structured program of recovery and peer support. You can share your experiences and struggles of recovery with people who will understand what you are going through. Changing your lifestyle: A relapse prevention plan can incorporate new habits and hobbies to help you stay clean and feel better, including exercise, healthy eating, meditation or other spiritual activities, and creative pursuits. Part of the addiction treatment process is helping a heroin user learn new ways of thinking and behaving, in addition to just stopping the use of heroin and detoxing from heroin. The skills learned in cognitive behavioral therapy, for example, can help a recovering person work on their ability to change their thinking in response to a situation that would normally trigger drug use and help them learn new coping skills to avoid relapse. Whether or not someone will relapse on heroin can be hard to predict. However, certain behaviors or thoughts can indicate a person is at risk of relapsing. Recognizing these warning signs and educating a loved one about the warnings signs, can help prevent a relapse from occurring. Believing that one can use small, controlled doses of heroin or other drugs. Some people who have been clean for a while begin to believe that they have their heroin use under control and can use heroin or another drug once or twice, then stop. This type of thinking is dangerous and can quickly lead the person back to regular use. Not attending 12-step or other groups regularly. Twelve-step groups, support groups, and therapy sessions offer valuable support to help someone stay sober. It’s difficult to stay sober alone. If you don’t like 12-step groups, find another source of support. Spending too much time alone. Isolation can lead to loneliness, which can cause a person to use heroin to deal with these feelings. Reach out for help, and find sober people who support your recovery. Going through a crisis. 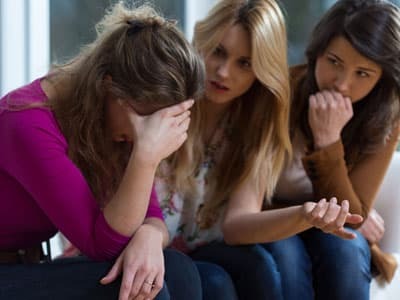 A death, the loss of a job, financial issues, and relationship problems can all cause a relapse if the person does not have a support system to lean on in trying times. Being in environments where heroin is used. Hanging around people who use heroin or other drugs or spending time in places where you used heroin can easily trigger a relapse. Thinking about how to obtain heroin. This is a huge red flag. Call a sponsor, therapist, family member, or friend immediately. Relapse is often part of the recovery process for heroin addiction. It is not unusual for a person to enter rehab several times before achieving long-term sobriety. 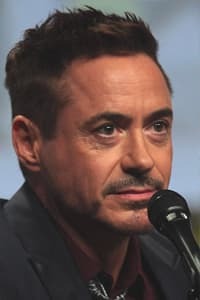 Numerous famous people are examples of this process, such as the actor Robert Downey Jr., who entered treatment and was even jailed several times before achieving a lasting recovery. Relapse doesn’t mean that a person cannot and will not be able to eventually stay clean. Most of the stories that a person hears in a recovery support group such as Narcotics Anonymous will be full of episodes of recovery, relapse, and a return to recovery. NA can be a great source of support for those who relapse. The periods of recovery and relapse that group members experience can help those around them realize that even though the road to recovery is not a straight line, lasting recovery is a real possibility for anyone. Avoid negative thinking. It’s easy to think, “I relapsed again! I’m hopeless, and I will never get sober.” Instead, think of a heroin relapse as a learning opportunity to gain new skills and knowledge that will assist with preventing a relapse in the future. Programs are available to help you or your loved one recover from heroin addiction. Call 1-888-319-2606 Who Answers? today to discuss your options with a treatment referral specialist.
. Smyth, B. P., Barry, J., Keenan, E., & Ducray, K. (2010). Lapse and relapse following inpatient treatment of opiate dependence. Irish Medical Journal 103(6):176-179.
. Gray, M. (in S.L.A. Straussner, ed.1993). Clinical Work with Substance Abusing Clients. Guilford: New York.